1938 World Cup tournament would be the last World Cup before the cold and bloody World War II and France had the honor of hosting this World Cup. 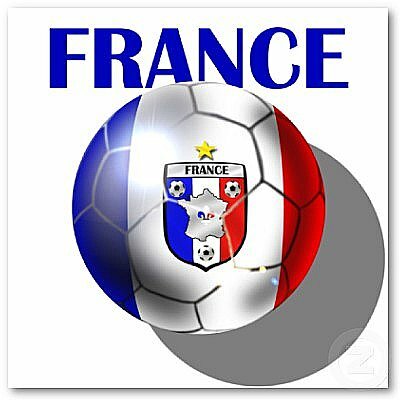 Due to Europe being on the brink of World War II only 15 teams participated in this France World Cup tournament. Uruguay and Argentina did not participate in this World Cup 1938 and this made Brazil the only team representing South America. 1938 Soccer World Cup had 15 participants which gave one team a free pass to the next round, that team was Sweden. Surprisingly this 1938 World Cup in France ended up being very competitive and fun to watch. The games during the 1938 Soccer World Cup in France were played more organized and the players possessed more skill and technical ability with the ball which provided fans of this France World Cup with fun and competitive soccer/football to be watched. Many games were decided in extra time or rematches. The host of this World Cup France was eliminated by Italy, who would retain the title winning their matches and beating Hungary in the final. Italy also knocked out Brazil in the semifinal, who had the best player and top goalscorer Leonidas sitting on the bench because Brazil Coach wanted to save him for the final. Without their star player Brazil lost against Italy 2:1. Italy, Hungary, Brazil, Sweden, Czechoslovakia, Switzerland, France, Cuba, Romania, Germany, Poland, Norway, Belgium, Netherlands and Dutch East Indies. As you can see Italy would regain their title during this 1938 World Cup held in France. This Soccer World Cup was the last one before the WORLD WAR 2 and was resumed again in 1950 which is 12 years later. All of the Italian players retired as champions because of this large gap in the World Cup history caused by Adolf Hittler and Warld War II.